What determines a person's intelligence?Many studies and voices argue that our intelligence quotient is determined or conditioned by the genetic code. However, contrary to what we can imagine, this relationship is not always direct and clear. In reality, many factors must appear for this intellectual predisposition to manifest itself. Read this article on high intelligence. 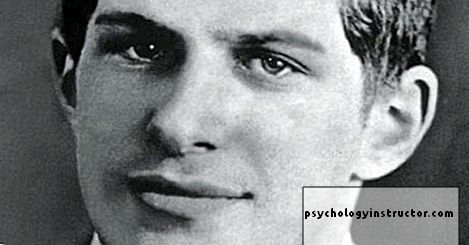 When we speak of high capacities, we must mention a particular name: William James Sidis.This elusive young man who died in the 1940s in the United States is considered, until now, as the man with the most surprising intellectual abilities. His IQ exceeded 250 points. "What we know is a drop of water, what we do not know is an ocean". The most striking thing about Sidis was his education. If he was able to enter Harvard University at age 9, it's not just because of his genetic heritage. His mother, Sara, was a doctor and his father, Boris, a psychiatrist and expert in developmental psychology. If there is one thing that these two Ukrainian scientists knew,that developing a high intellectual coefficient did not depend exclusively on our 23 pairs of chromosomes. High intelligence is the result of a stimulating environment and a receptive brain.The Sidis have directed their son's life towards one goal: to maximize their cognitive abilities. And the result has far exceeded their expectations. However, this young man was much more than just a child prodigy: he was clearly unhappy. 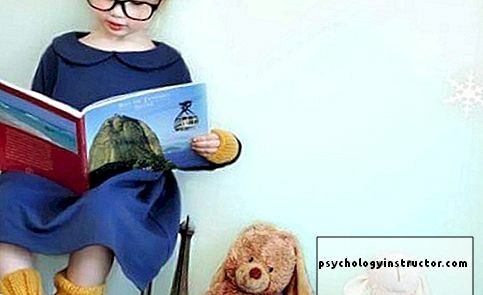 1 High intelligence and genetics: smart parents and bright kids? High intelligence and genetics: smart parents and bright kids? Intelligence, like human behavior, is a complex trait.Defining it is not difficult, however. It includes all those experiences in which a person shows a clear ability to learn, reason, plan, solve problems, think abstractly, understand complex ideas and give highly creative answers. Nevertheless, knowing exactly what produces individual differences with each of these skills has always been a challenge. We could say that it is the genetic inheritance that gives shape to all these abilities. In 2016, the University of Glasgow conducted a study which showed thatthese genes associated with cognitive functions inherit mainly from mothers.The X chromosome would largely determine our intellectual potential. We speak in the conditional because everything is not so obvious. A study recently published in the journal "Genetic Reference" has shown us something that experts have been anticipating for almost a century.The social environments are the ones that shape us, that bring together the conditions so that we can reach or not our cognitive potential.Genetic inheritance, for its part, would only determine us at 40%. Intelligence (and high intelligence) is strongly influenced by the environment. Factors such as education, availability of resources in learning and nutrition create and solidify our intellectual potential. Neurologists often say the following: we overestimate the idea of ​​high intelligence.When brain surgery is performed, there is no concrete area that distinguishes it. Neither specialized structure that would make us more brilliant people. In reality, it is an infinity of processes that act in harmony. A hyperconnected synaptic world that creates a more open, more sensitive, more efficient brain than usual. Now that we have reached this point, some of you may be asking a question.What happens if my genetic inheritance is associated with a high intelligence and if I did not have a favorable childhood for its development?What happens if my environment has not been stimulating and if my school results have been bad? Does this mean that I will never be able to improve my intellectual coefficient? Any psychologist or psychology enthusiast immediately thinks of a key figure in this discipline. We are talking about Kurt Lewin.The father of modern social psychology brought us a term that laid the foundation for many theories and later studies: field theory or the power of context.To summarize it quickly, Lewin showed us that the human being is the result of the interaction of all his experiences, past and especially present.We are our attitude, what we choose to do with everything we have lived. Thus, by studying the trajectory of twins separated at birth and raised in different contexts, it has been proven that an unfavorable environment, with low economic resources, strongly influences the development of intelligence. However, these sterile conditions do not completely extinguish our potential. At least, not if the person has the chance to build an environment allowing him to find his "lost space". 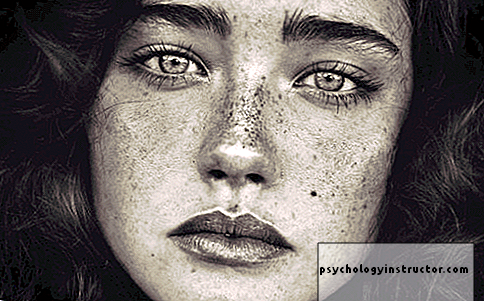 To conclude, Lewin discovered that when the twin raised in an unfavorable environment moved away from the orders of his adoptive parents, he allowed his genotypes to express themselves. His cognitive abilities improved by finding motivation. An objective in accordance with his interests. An environment that facilitated its goals. The brain, in the end, is not a fixed, stable entity.Plasticity, our curiosity and our will are able to create real miracles.